The adult moths of this species vary from pale to dark grey or brown, often with a dark lightening zigzag line from wingtip to the middle of the hind margin, and/or a vague dark spot near the middle of each forewing. The hindwings are plain pale brown darkening toward the margins. 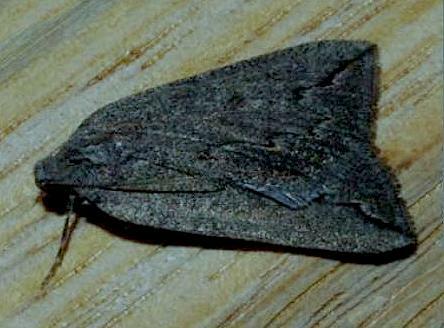 The male moths have a wingspan of 2 cms. 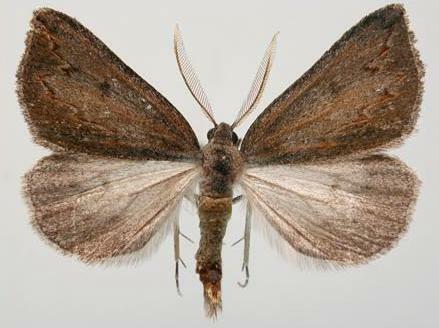 The female moths have a wingspan of 3 cms. Volume 58 (1947), p. 107, No. 89.